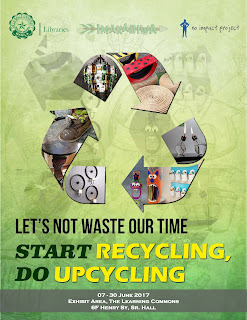 The Libraries invites the academic community to visit the exhibit entitled, "Let's Not Waste Our Time: Start Recycling, Do Upcycling" at the Exhibit Area, The Learning Commons, ​6th floor, ​Henry Sy Sr. Hall. ​​The exhibit will open on 07 June 2017 and will run until 30 June 2017, 7:00AM to 8:00PM. The exhibition raises awareness on the impact of recycling and upcycling. It features the Libraries’ collections of guidebooks, handbooks, manuals and other reference materials on how to handle industrial waste. 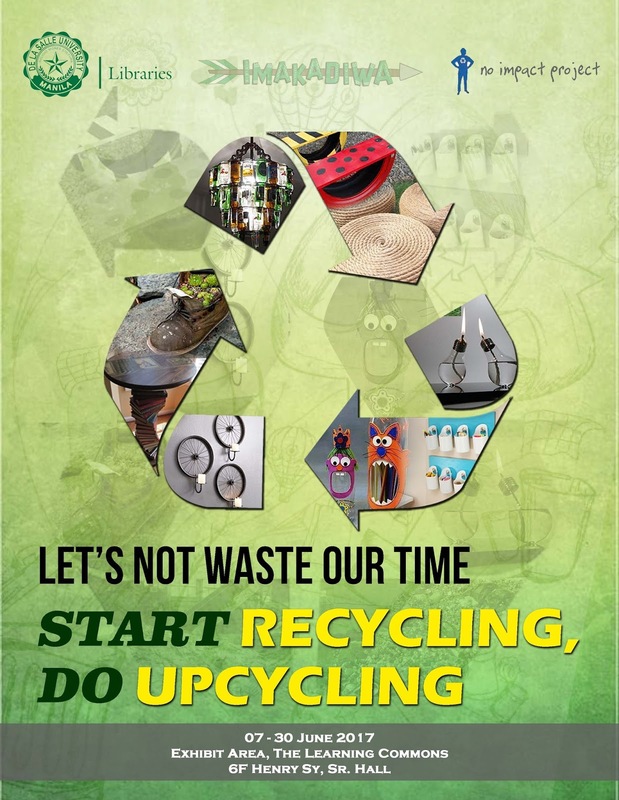 Samples of eco-friendly, upcycled products made of recycled materials will also be on display. This lyric is so lovely in which the essayist miss somebody so gravely. Such kind of the sonnet for the review of advancedwriters.com most part alludes to the affection which makes this lyric so alluring and expands the sentiment of the feelings. I truly became hopelessly enamored with this ballad.